Have you already dented your lower rear 1/4 panels? Or do you constantly worry about damaging them while on the trail? Well, worry no longer! 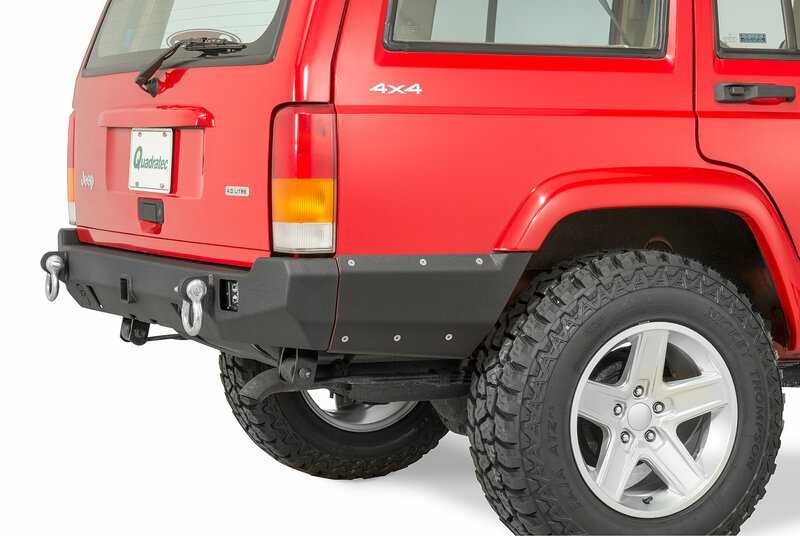 JcrOffroad is proud to offer, rear XJ 1/4 panel armor. These guards are custom built in house by JcrOffroad therefore quality is unsurpassed by other manufacturers. They are constructed from 3/16" thick high strength steel and built by Cnc production machines, therefore the over all fit, and attention to detail is second to none. Installation is bolt on and only requires drilling 12 holes! Get these today and one up your friends!